Apple's newest iPhones may look like last year's, but the company packed tons of appealing updates into the 6s Plus. New features such as 3D Touch and the improved cameras impress, while refinements to iOS 9 and how the 6s Plus interacts with the platform give the handset new-found power. Here is Phone Scoop's in-depth review. Most iPhone owners know who they are. You're either firmly entrenched in the Apple camp or you're not. This year's iPhone may look like last year's, but almost everything under the hood has been improved. For those who upgrade every year no matter what Apple does, there's plenty to like. If you already own an iPhone 6 Plus and are on the fence about whether or not the 6s Plus is worth the price, we're here to tell you what you need to know. 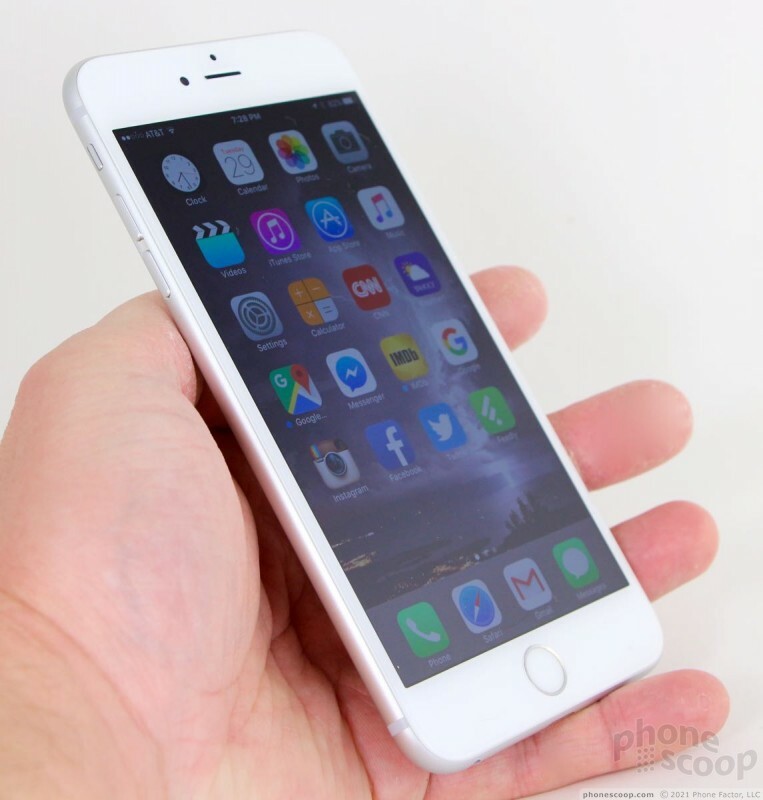 The iPhone 6s Plus has an impressive outer design, even if we've seen it before. On even years, we get a new iPhone design; on odd years, we get an updated "S" version of the existing phone. As the name clearly implies, the 6s Plus is a new-and-improved 6 Plus. 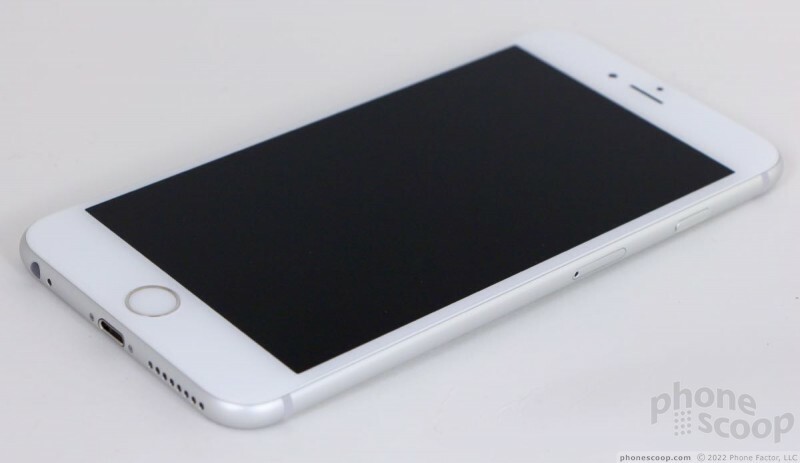 The 6s Plus is a large smartphone, but not the biggest we've seen. It falls into the "phablet" category, though huge-screened phones have become quite common. Upon taking the phone out of the box, I instantly noticed the size and weight increase. 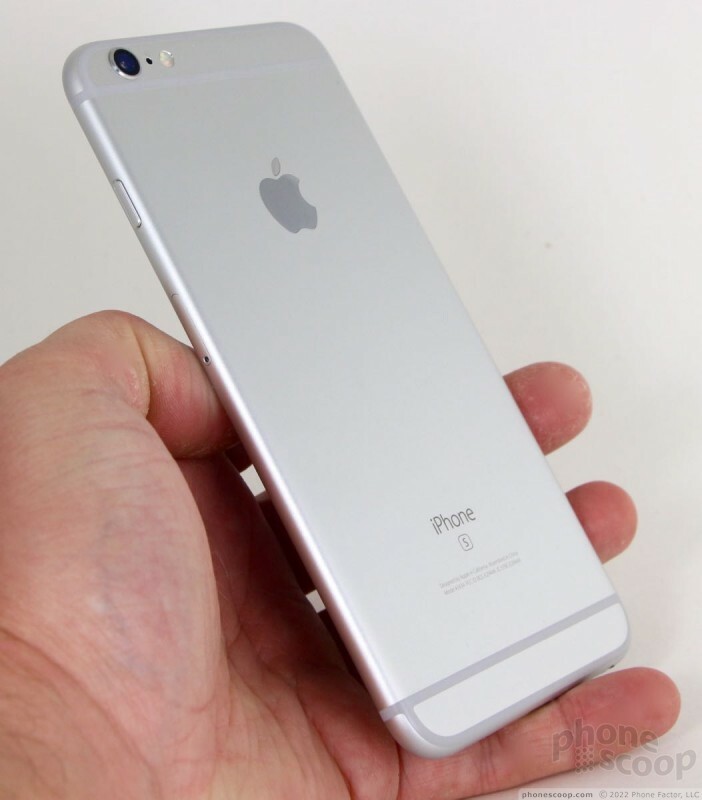 It shares its length and width with the iPhone 6 Plus, but the 6s Plus is 0.3mm thicker and 0.7 ounces heavier. These may not seem like significant amounts — and they're certainly not egregious changes — but they are enough to feel and see when the two phones are used side-by-side. For the record, I still think Apple's recycled designs are lazy. More to the point, competitors such as Samsung have finally begun to catch up in some respects (see: Galaxy Note 5). Apple has long used a mix of metal and glass to form the outer shell of its iPhones. The entire face is glass, while the side and back surfaces are forged from 7000 series aluminum. The glass curves ever-so-slightly at the edges to meet the metal frame, and joins the aluminum snugly. The 6s Plus is a high-class piece of hardware, though I find the appearance is a bit conservative. Still, Apple knows how to make simple designs look good. I've used an iPhone 6 Plus often over the past year, so the 6s Plus feels natural to hold and use despite its size. My thumb can only reach about half the screen at a time, but I've become accustomed to adjusting my grip in order to effectively use big-screened handsets. 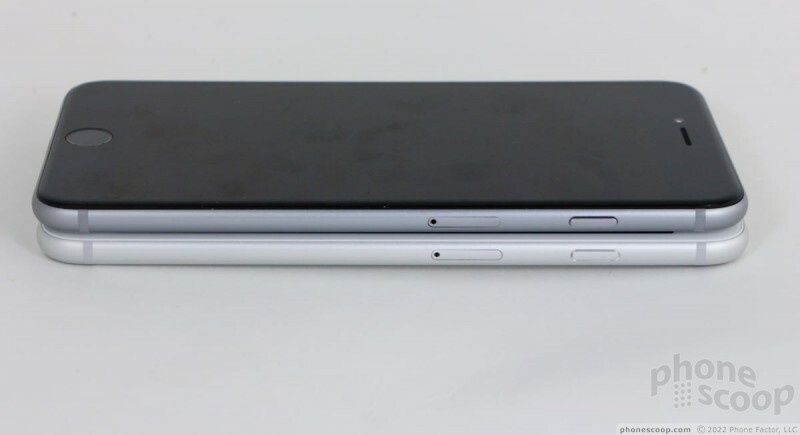 Some may find the 6s Plus, like many phablets, is just too big. The phone fits well enough into my pockets, but I see plenty of people walking around the the 6 Plus half sticking out of their jeans. In other words, your mileage may vary. Putting it in a case — something many people do — only makes it bigger. The materials and build quality are top notch. There are no surprises there. Apple is selling the 6s Plus in space gray, silver, gold, and rose gold. 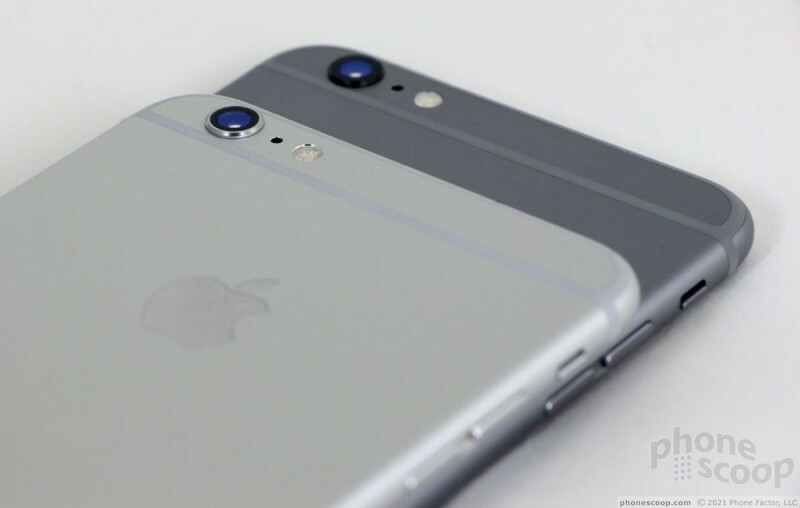 The space gray option is the only one with a black front face; the other three have a white face. My silver model features white-colored glass surrounding the black screen. 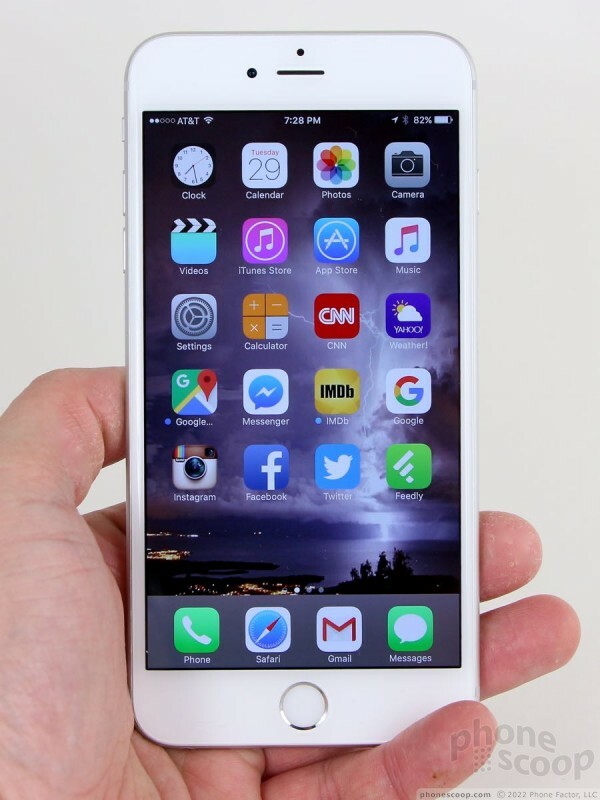 iPhones have long had beefy bezels, and the 6s Plus is no exception. I would love to see a better screen-to-bezel ratio on the next iPhone. Apple is falling far behind the competition there. The earpiece, user-facing camera, and a small sensor are plainly visible above the display. 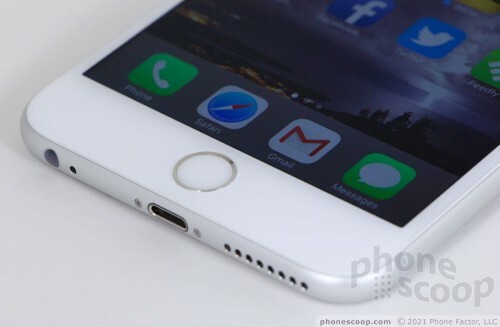 The home button / fingerprint sensor has a silver-colored rim that makes it stand out visually. These elements are all but invisible on the space gray model. 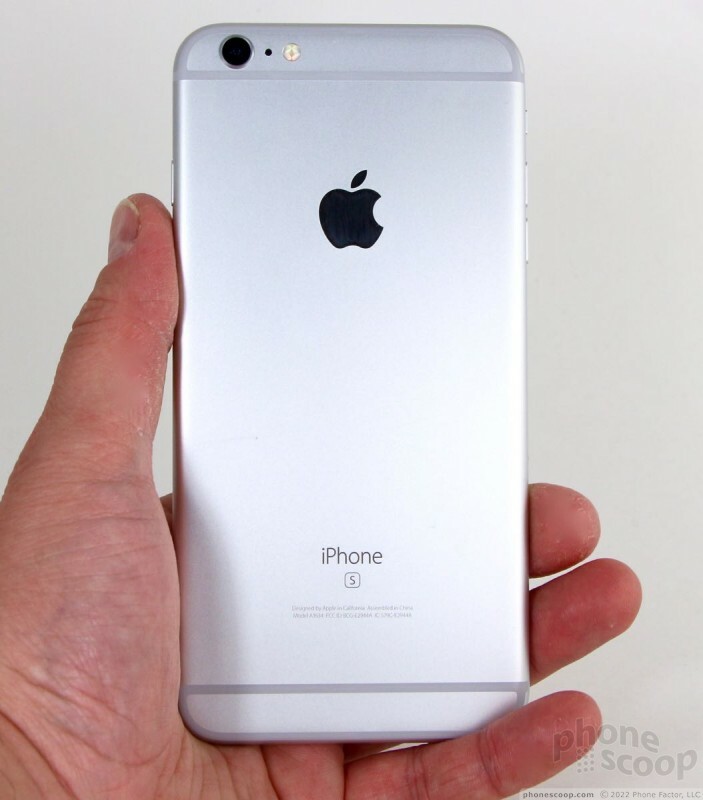 My favorite aspect of the 6s Plus's design is the rounded side edges. They really help improve the phone's comfort. Competing handsets such as the Galaxy S6 Edge+ nearly cut into your palm as you hold them. 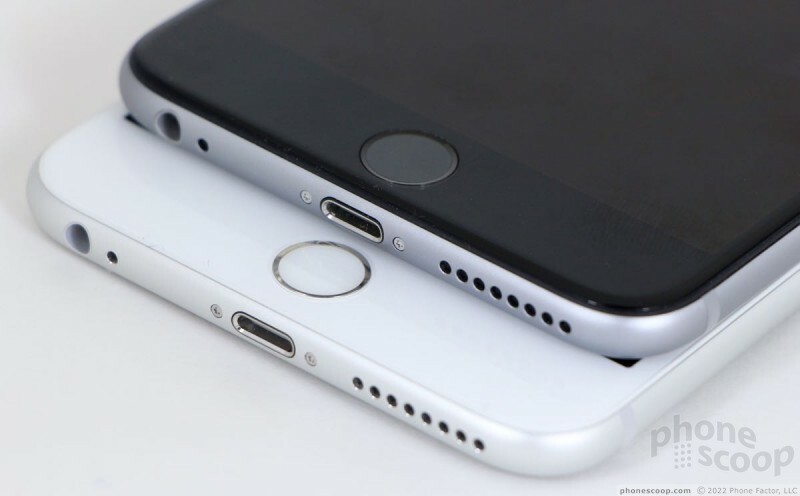 The 6s Plus's left side houses the ringer switch and separate buttons for adjusting the volume. The ringer switch is easy to find and use, and the action is quite good. The volume buttons have good profiles and excellent travel and feedback. I like that the buttons' texture is slightly smoother than the rest of the side edge. The right edge houses the screen lock / power button and the SIM card tray. For such a big phone, the screen lock button is positioned a bit too close to the top edge. 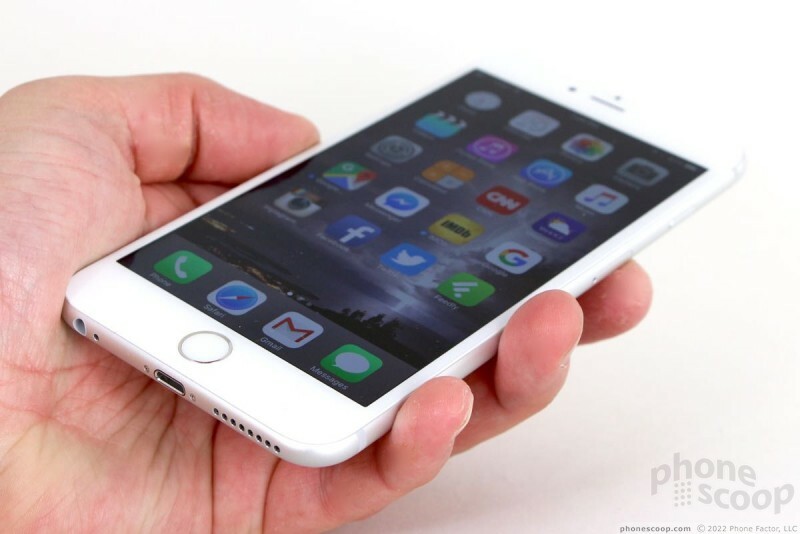 The 6s Plus would be easier for people to use if the button were placed more centrally along the side. A tool (not included) is required to eject the SIM card, but most people probably won't have any need to pop it out. The bottom edge of the iPhone 6s Plus is a busy place. It holds the stereo headphone jack, a microphone, Apple's Lightning port, and speaker. 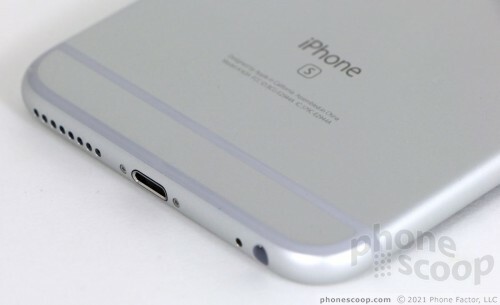 A couple of special screws flank the Lightning port and are plainly visible. There are no controls, buttons, or ports along the top edge of the phone, which is a smooth, rounded surface. It's worth pointing out that Apple's Lightning port, while popular, is technically proprietary. You need a pricey adaptor to make it work with industry-standard phone connectors like micro-USB and the newer USB Type C. Curiously, Apple has adopted the new USB Type-C plug for more than one new product this year, but chose to stick with Lightning for its phones and tablets... for now. They haven't said when or if that might change in future iPhone models. All iPhones since the 2010 iPhone 4 have had perfectly flat back surfaces. I like flat rear panels, as they make phones easier to use when they are placed on an even surface, such a table or desk. The drawback is a blockier phone that doesn't fit your hand as well. 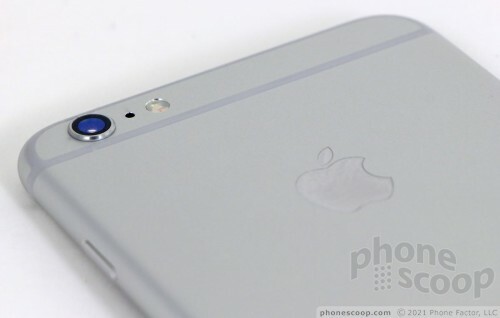 The 6s Plus's rear surface is flat, save for the camera module, which protrudes significantly. The camera hump won't matter if you use a case. 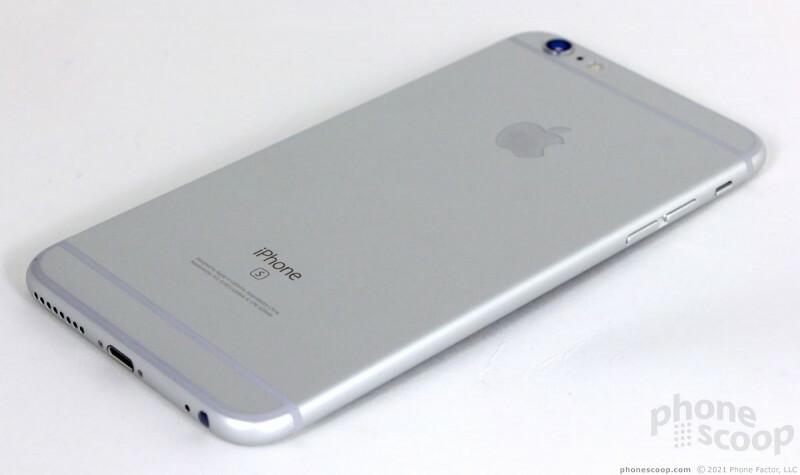 The iPhone 6s Plus is sealed up tight; you cannot access the battery. This may be a deal breaker for some people, but I think the abundant availability of third-party battery cases and packs negates any need for worry. (More on the battery life below.) Similar arguments can be made for and against the iPhone's lack of support for expandable memory. Truly, the iPhone 6s Plus is an attractive, well-made chunk of hardware that should please most anyone who picks it up. 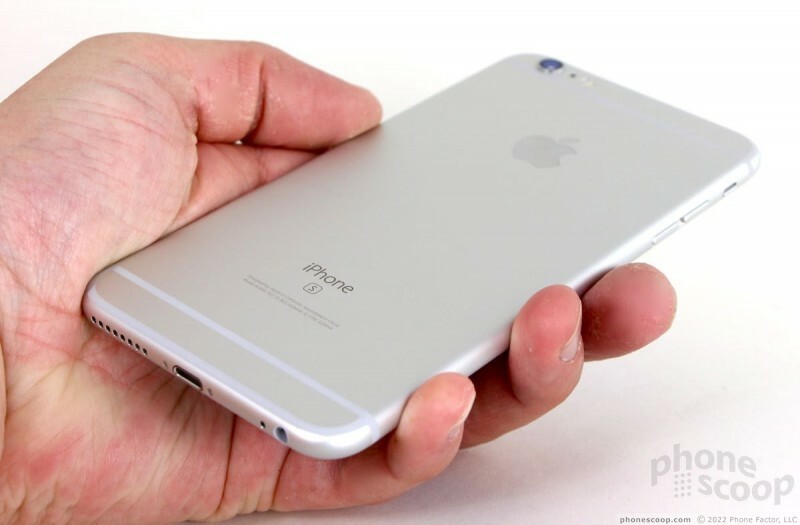 The iPhone 6s Plus has a 5.5-inch display with full HD (1920 x 1080p) resolution. 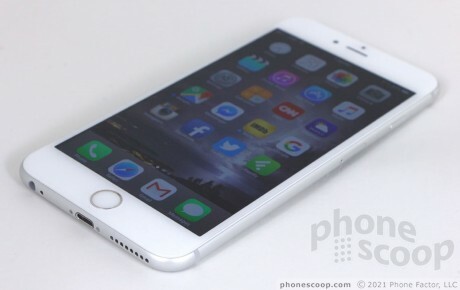 Apple uses LCD panels and the 6s Plus's "Retina Display" looks great. I found it to be bright enough for use both indoors and out, and it delivers excellent color accuracy. 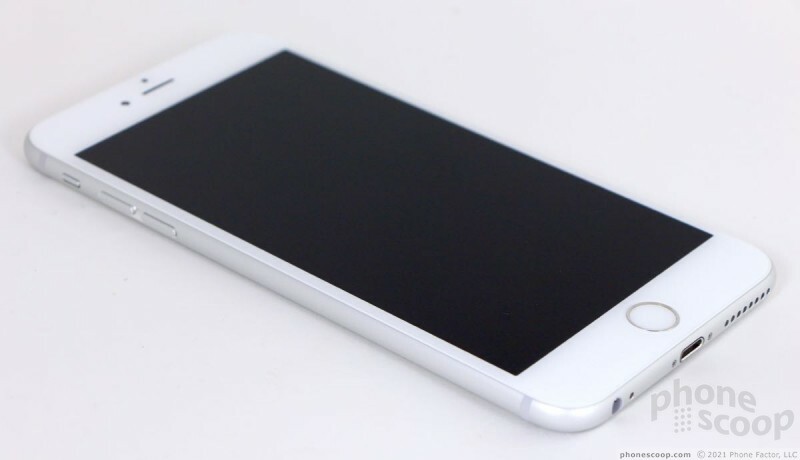 The iPhone's screen offers fantastic viewing angles with no brightness or color change. The resolution works well for keeping text and imagery smooth, but it's worth noting that nearly all of Apple's main competitors (Samsung, LG, Motorola) have stepped up to quad HD (2560 x 1440) resolution for their flagship smartphones. That said, the iPhone's screen is certainly good enough for most people. 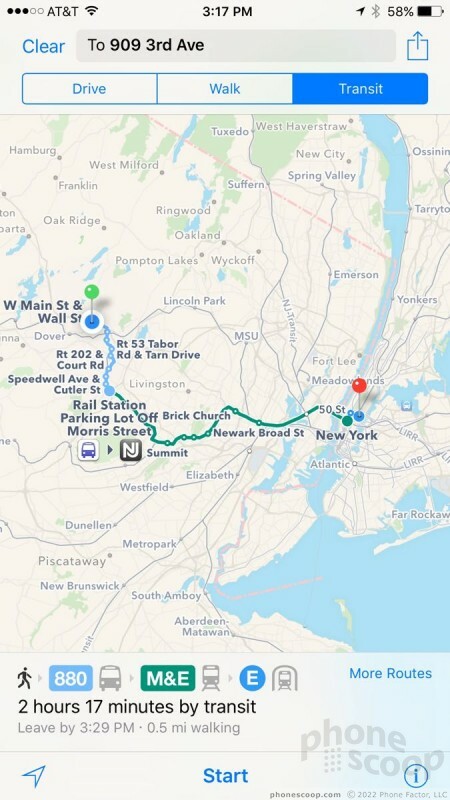 I tested the 6s Plus on AT&T's network in the metro NYC region over the course of several days. During this period, I had absolutely zero trouble using the phone. It remained connected to AT&T's 4G LTE network without fail. Even in poor coverage areas, the phone provided at least some LTE service. I didn't see the 6s Plus drop to 3G (HSPA) at all. Data speeds were quite impressive, and the phone was always able to connect voice calls. The 6s Plus did not drop any calls, nor did it miss any. The phone worked perfectly in a speeding car, which means it maintained a call over a course of 10 miles and multiple cell sites. The speakerphone is capable of high volumes, which means you can hear calls in noisy spaces, such as moving cars or city streets. At the same time, setting the speakerphone all the way up results in a bit of distortion. It's not as noticeable as the earpiece. Ringers and alerts are plenty loud enough for you to hear. I didn't miss any calls for lack of hearing the phone ringing. The vibrate alert, however, could be stronger. Music sounded quite impressive when passed through the headset jack to capable headphones or speakers. 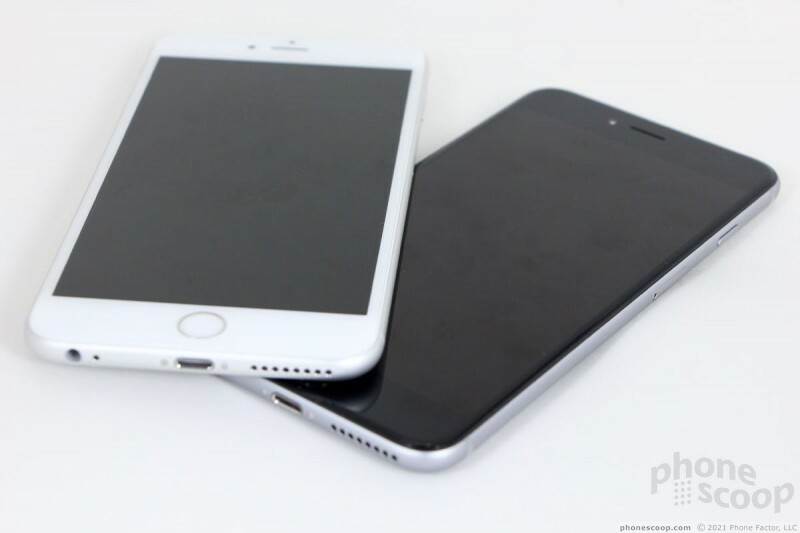 One of the changes between the iPhone 6 Plus and 6s Plus happens to be the size of the battery. If you're thinking Apple improved the battery size, you'd be wrong. Apple actually reduced the size of the battery (to accommodate the Taptic Engine). Even so, Apple claims the 6s Plus delivers about the same battery life as the 6 Plus, if not a little more. Fortunately, I find this claim to be accurate. The iPhone 6 Plus has nearly always given me one and a half (if not two) days of battery life. The iPhone 6s Plus provided this same amount of up time. For example, I charged the phone overnight Friday into Saturday. I unplugged it Saturday morning and didn't plug it back in to charge until Monday morning, when it still had 41% battery left. I tested the phone heavily all weekend. The A9 processor is probably playing a role here, as is the streamlined iOS 9 operating system, which is a bit more aggressive at managing power consumption. 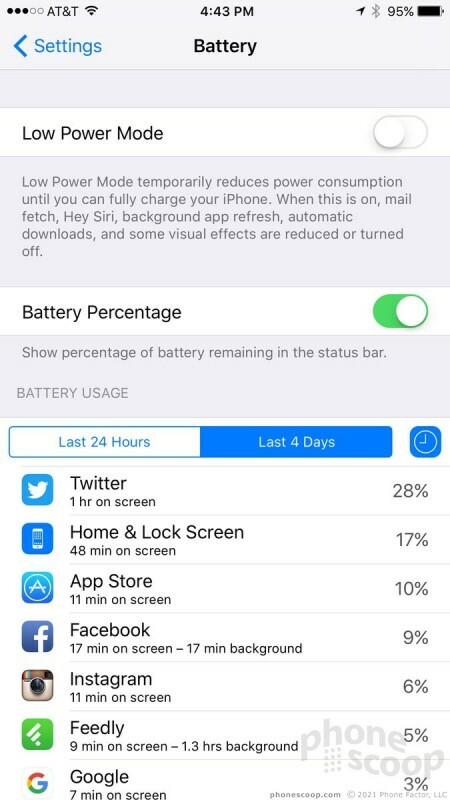 If you get into trouble, you can turn on low-power mode, which limits background tasks, turns down the screen brightness, and silences some notifications. 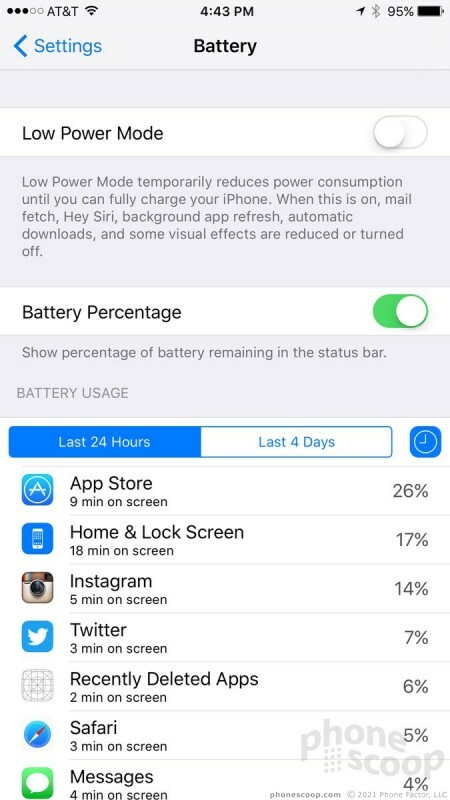 Apple says low-power mode adds a couple of hours to battery life. The iPhone 6s Plus provides slightly better battery life than some competing handsets, like the Galaxy Note 5 and the LG G4, but it doesn't have as many cool tricks. For example, the Note 5 supports rapid charging, where the 6s Plus does not. Moreover, the Note 5 supports rapid wireless charging (Samsung wireless charger required). The iPhone doesn't support wireless charging at all, let alone rapid wireless charging. Good battery life, or fancy charging tricks: you pick. The 6s Plus has Bluetooth, GPS, NFC, and WiFi. The Bluetooth radio did a great job. I had no trouble connecting it to headsets, speakers, nor my car. Calls pushed through my car's hands-free system were good enough to understand conversations at highway speeds. Apple hasn't specified whether or not the 6s Plus supports the high-quality aptX music profile, but I was nonetheless impressed with the clarity and punch of music when I listened to it through my favorite Bluetooth speaker. The GPS radio worked perfectly. 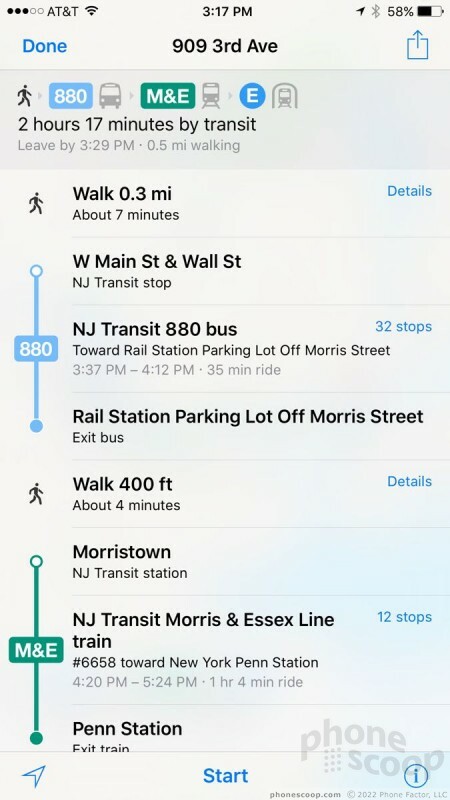 The iPhone 6s Plus located me quickly in both Apple Maps and Google Maps. 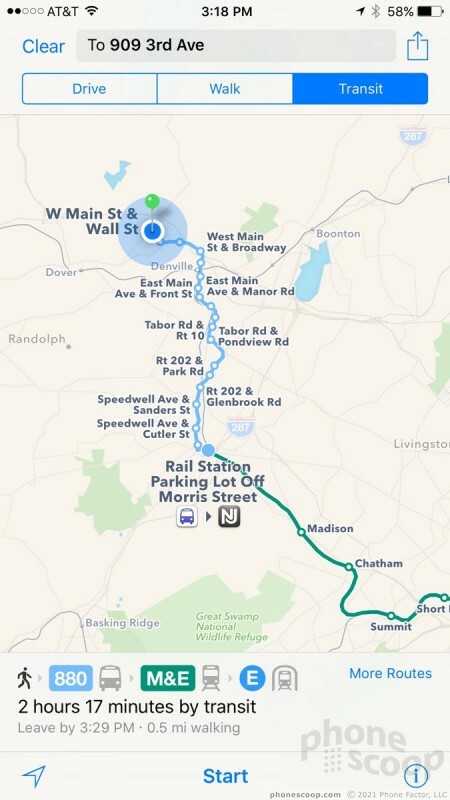 Apple Maps now includes transit directions for select U.S. cities, but I had mixed results when testing them in the metro NYC area. The NFC radio works with only a single app: Apple Pay. I wish Apple would allow the NFC radio to interact with other NFC-equipped hardware, but it's locked down at the moment. The NFC radio does its job with Apple Pay, no questions asked. Apple added the latest WiFi radio to the 6s Plus and it does a good job for the most part. There's one new feature worth mentioning: WiFi Assist. With this tool turned on, the 6s Plus will drop sketchy WiFi connections in favor of LTE. I found WiFi Assist works as advertised. For example, when I stepped outside my house and walked down the street, the 6s Plus was faster to let go of my home WiFi network and switch to AT&T's cellular network. 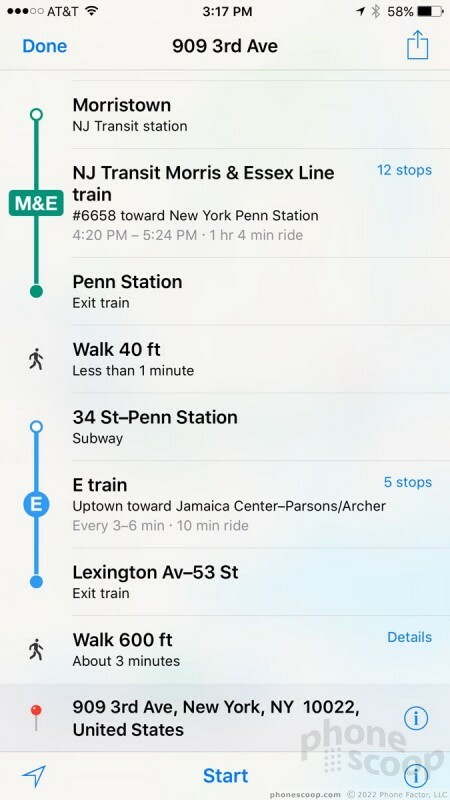 Apple added this feature because people often find their iPhones trying too hard to use WiFi even when the connection is miserable. Sometimes LTE is better and/or faster. The downside is your iPhone is likely to consume more mobile data. I recommend you test this feature cautiously yourself, paying attention to your data plan.